When Madkat obtains a new host, Lieutenant Felina Feral becomes the target of his twisted love. 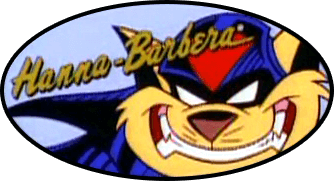 Will the SWAT Kats and Commander Feral be able to stop him? Rated T. This story started years ago, just because I wanted to write something featuring my villain, Madkat. I loved that he evened out the field for both the SWAT Kats and the Enforcers, where he negated or reversed everything they threw at him. I also wanted to play around Madkat possible acquiring a new host, with new powers and weakness. This is the result. Special thanks to Kooshmeister and Ericobard for helping me formulate the plot from its meager beginnings and letting me bounce ideas off them. Also thanks to ulyferal for betaing my piece and making it look good. I enjoy reviews and critiques, so shoot them my way. This will not be a long chapter series. It stops at chapter 4 (maybe 5). The kat-in-the-box groaned to himself. That infernal shopkeeper was humming to himself again, and it was just enough to drive him mad! He watched as Katzmer dusted his shop. If he ever was restored to his former glory, Katzmer would be the first on his hit list. But who was he kidding? He had no real power anymore, just barely enough to teleport around the shop to keep the old fool on his toes. What was he thinking when he went for revenge so long ago? While hunting down the king, queen, knight, and jester proved sweet, it wouldn’t have been enough to keep him connected to the physical world. He needed something more tangible. More concrete. Like the love of the Knight’s Daughter. The kat in the box felt butterflies in what remained of his soul. She was so sweet and kind. Beautiful too. She even stood against the royal court for him...but all for naught. Was her spirit out there somewhere? If he could find her, and marry her, he would be forever tied to the physical world, and be free of the accursed box he was trapped in. But where could she be? Read the rest at Fanfiction.net herehttps://www.fanfiction.net/s/12836189/1/Mad-Love. A great story. You really write Madkat quite well. Are you ready for part 2, where Madkat turns a corporation's boring dinner into Felina's worst nightmare? Keep 'em comin', Akane! The more Madkat, the better! I like how you modified the existing canon - I think the additions you made into the "mechanics of Madkat" fit really well. I think you do a great job at building on all of those "unseen items" the show never really explored, especially in the back-and-forth between Felina and her uncle. Your version of Felina is a lot different than most depictions I've read; delving into her personal life and friendships really makes her a more multifaceted character. I am curious as to what will come into play, particularly with the theme of "can't defeat me the same way twice" the kat-in-the-box seems to be alluding to. Looking forward to reading the next part!